Logistics is defined as a business planning framework for the management of material, service, information and capital flows. Logistic systems have received considerable attention in the last 10 years, as they constitute one of the cornerstones in the design and control of production systems and the modeling of supply chains. This renewed interest is partly due to the recognition that well-known planning and control systems such as ‘Manufacturing Resources Planning’ and ‘Just in Time’ systems fail to establish a sound integration of lead time management, capacity planning and quality considerations. 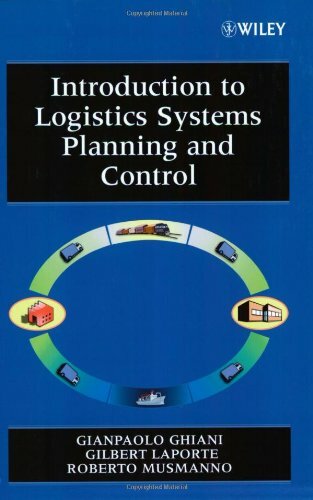 This book uniquely[*]Presents a balanced treatment of quantitative methods for logistics systems planning, organization and control. [*]Each topic is illustrated with real examples. [*]Each chapter features an annotated bibliography of key references. [*]Features a number of case studies that show how the methods can be applied to complex logistics problems. [*]Assumes only a basic knowledge of operations research. [*]Supported by a Website (h++p://wileylogisticsbook.dii.unile.it) featuring exercises and teaching material. التعديل الأخير تم بواسطة HaMooooDi; الساعة 04-24-2009, 03:08 AM.